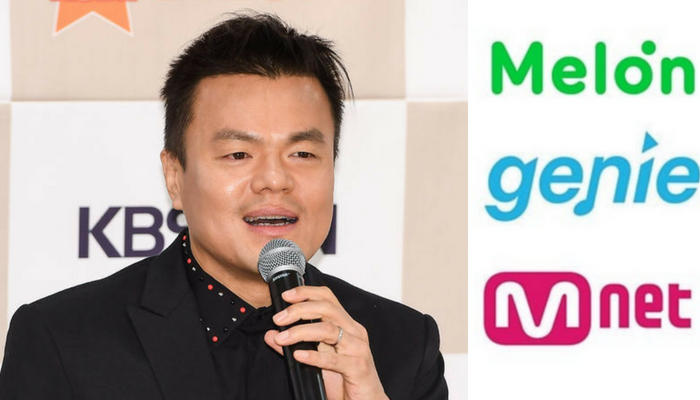 As the Korean music industry continue to push back against chart manipulation, Park Jin-young speaks out. Although chart manipulations or sajaegi has been around for years, the rocketing international popularity of K-pop in recent years thanks to such groups like EXO, BTS, and GOT7, have changed the landscape of Korea’s domestic music landscape. As mentioned in an OP-ED by a Kpoplove writer, fans of idol groups have created guides to instruct international fans on how to stream, vote, and support their favorite groups. Although this can help artists to win prizes and gain recognition, there are real longterm consequences. In particular, it is hard to determine if their success has manifested naturally or has been manipulated and inflated by passionate fans. On another note, in regards to JYPE, their current representative girl group TWICE have seen their two consecutive comebacks affected by the sudden rise and success of mostly unknown solo artists. During their “What Is Love” comeback in early April, ballad singer Nilo suddenly climbed music charts and landed in the number one spot ahead of both the girl group and EXO’s subunit CBX. Currently, TWICE is in second place on music charts behind Shaun. Although both Nilo and Sean have denied any wrongdoing, it has spurred the music industry to make changes to protect the domestic market. Although a small step, with the support of entertainment giants like JYPE and other similar companies more changes will likely come.